Tag Archives for " Carmine Gallo "
2014 marks the 30th anniversary of the phenomenon knows simply as TED. At this point in time an entire generation has grown up feasting on TED Talks. In the world of communication TED Talks are the gold standard by which not only formal presentations are gauged, but most forms of communication are gauged. 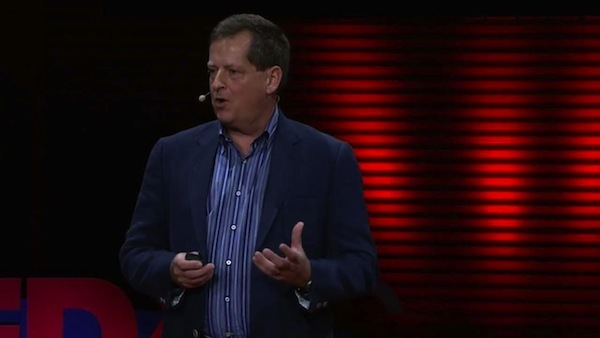 Within the thousands of successful TED Talks there runs a somewhat common thread, or formula perhaps, that has transformed the way presenters present, leaders lead and teachers teach. Mastering, or at least acknowledging, this art form has become required study for marketers, business leaders and communicators alike. My guest for this week’s episode of the Duct Tape Marketing Podcast is Carmine Gallo, author of Talk Like TED: The 9 Public-Speaking Secrets of the World’s Top Minds. Gallo has made a career out of studying TED Talks and in his book he breaks down the elements of the most successful talks. The book is filled with example after example of real talks and, along with the TED repository, acts as a bit of a master’s class in the art of great presenting. If you’re not tapping the TED library to get better at speaking you’re missing out on a tremendous free training resource. Gallo starts our interview by suggesting, as I have in the title of this post, that in business today your communication skills are likely being compared to the TED standard. Gallo’s book breaks down the very specific elements you need to master, but in the end, there’s one skill that will take you farther than any other and that’s the ability to communicate with stories. I’ve always contended that the best leaders, the best marketers, are the best storytellers and at its very core the art of the TED Talk is framed in the art of storytelling. Foursquare boasts over 10 million users and some 400,000 businesses, and even though it’s not this week’s hot topic anymore, it’s ripe to add to your marketing mix. We discussed the various ways that small businesses can move into the location based marketing game and take advantage of the fact that most of their customers are using mobile devices to locate the places where they shop. I’m going to skip the introduction and focus mostly on how to use it as a customer magnet. If you don’t really know much about Foursquare yet go here first: Foursquare 101. Since a lot of folks are using Foursquare, it’s time to break out some creativity and move past the “me too” users that are simply copying what they see other people doing. It’s okay to play the checkin smorgasbord game. You should consider a special deal for different kinds of checkins, such as a generic checkin and get something special, a special for the first time someone checks in and, of course, treat your mayor to something really special. If you really want to make Foursquare pay, consider adding one or more of the advanced and slightly more creative offers listed below. If there are businesses near you that get lots of checkins—hotels, conference centers, sporting arenas—consider adding tips to these venues that point people to your business or special. Foursquare has a feature that will point to nearby specials, but why not write a great tip (be outrageous to get some attention) and attract even more of those large numbers of people checking in? You can take this last point up a notch by collaborating with strategic partners to make referrals all over town at a multitude of locations. This can take a little time, but if you place checkin tips referring your team of business partners to dozens of sites—and your partners do the same—you’ll gain lots of exposure. Make sure you’re not placing tips on competitors’ sites, as that will likely backfire. Foursquare recently add a few new kinds of specials that offer much potential. A flash special is something you can offer to a certain number of people that act fast—this is a great way to create buzz and get people promoting for you. Let’s say someone checks in and learns that the first 50 people that check in that day get a cool offer…this kind of special really gets people reacting and sharing. Another new special type is the friend special that allows someone to check in and get a great deal only if, say, they get three friends to check in as well. This one is nice because you can limit it and offer something really great for someone that goes to the effort of getting his or her friends into your store. The game and sharing aspect of this one offers lots of fun potential. 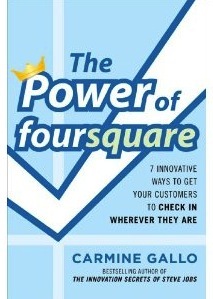 In Foursquare terms a swarm is when a lot people check in at one place. This is a great one for events and could even make a neat little fundraiser kind of thing for an organization. Imagine hosting a PTA or club and offering them a special donation for everyone that visits your business and checks in on Foursquare creating a custom swarm of whatever you determine. One of the things that Foursquare offers small businesses is the technology to track customer behavior. Use your creativity and you may find even more ways to tap this tool to grow your business and community. You can find out more about various forms of special at the Foursquare for Business support forums.